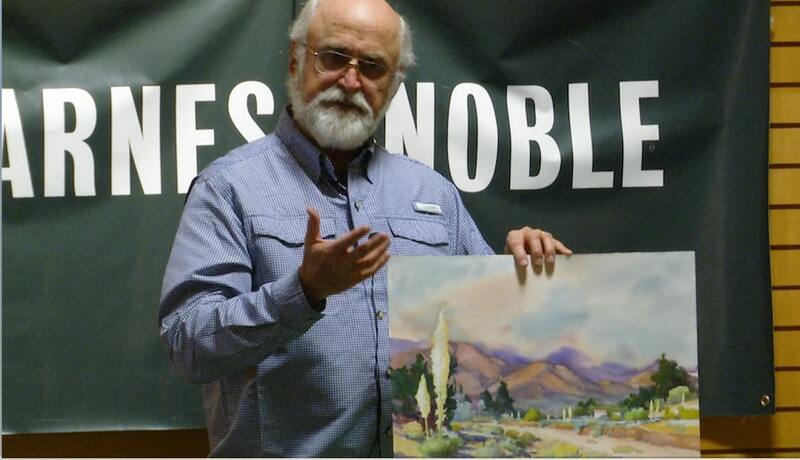 Glen Knowles demonstrated the use of watercolors at the Santa Clarita Artist Association’s meeting. Renowned for his Plein Air outdoor landscapes, Knowles was a professor of art, teaching over 5,000 students. He invented the ColorWheel palette, a color theory mixing system. ‘North Light Books Splash 3’ called Knowles one of America’s top 105 contemporary watercolor painters. Great to see you do a beautiful watercolor demo while I happened to be looking through the SCVTV site! You taught me how to paint and I’m still painting in Red Bluff, California (I formerly went by Fairbairn at that time). Thank you SCVTV for creating such a complete record and being so helpful covering my demo for SCAA.